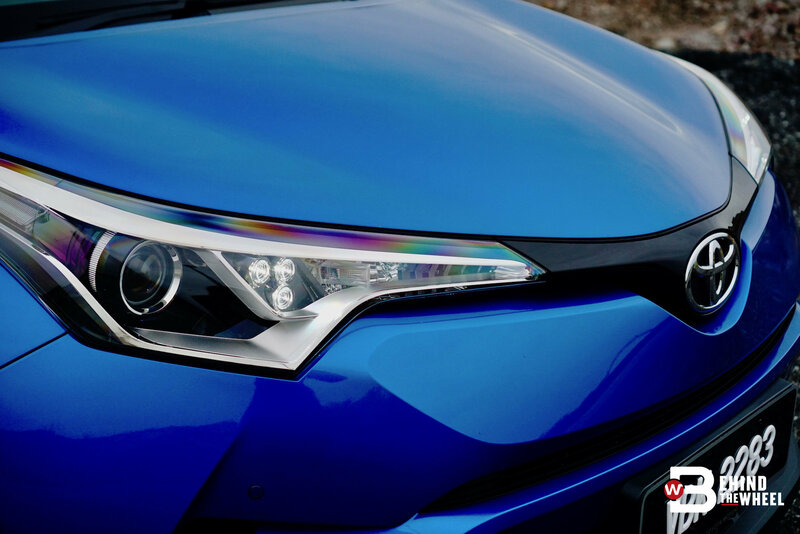 The design of the Toyota C-HR’s is a clear departure from what the world is used to seeing from the Japanese carmaker in recent times, making it one of the most exciting-looking vehicle to date. So distinct in its design that this crossover would be entirely at home in the pages of sci-fi movies and comic books. Honestly, it is hard to keep the eye focused on any one part of the C-HR when every element in its design is angling for your attention. So, there’s no better place to start than the rear, where the design is the busiest. The arrowhead taillights are eye-catching, appearing to shoot off in opposite directions that pull the rear wide. Underneath the arrowhead-lights are the wheel arches that flare so wide one might think this SUV is rear-wheel drive. The boot doesn’t seem to sit flush with the lights and arches but instead extends outward and upward, coming together like a tail of a duckling. 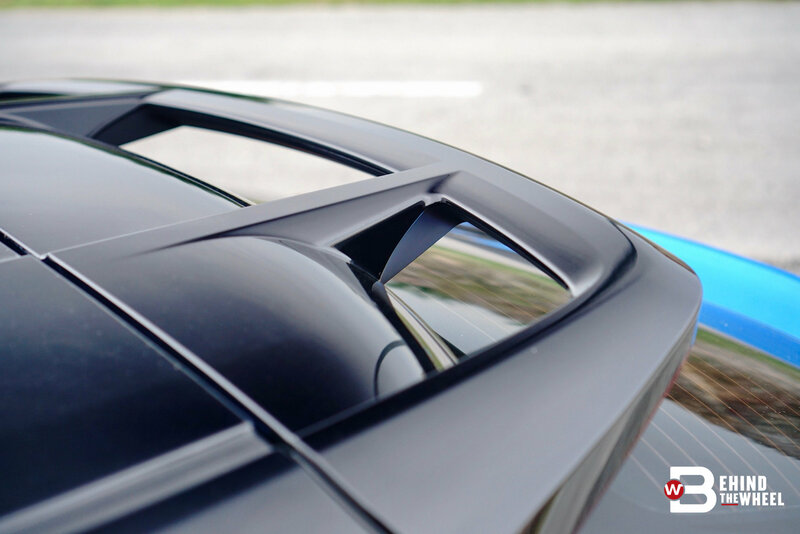 Move up the slippery windscreen to find a handhold in the form of the rear wing fixed to the dramatically tapered roof of the C-HR. Past the windshield is a front that’s surprisingly less busy than the rear, albeit no less provocative. The first thing you’ll notice with the front is the grille, or the absence of it. In place of what would usually be a mouth so huge, that puts whales to shame, the C-HR’s makes do with just a slit above the air dam. 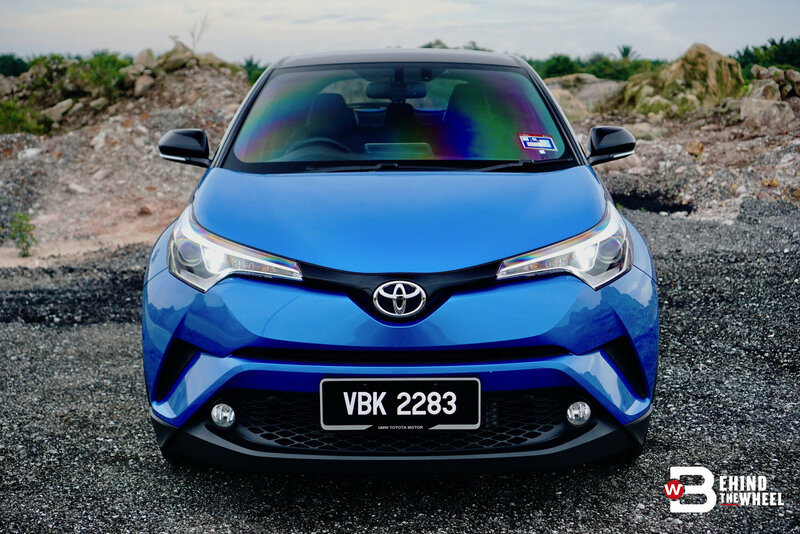 Above that, Toyota’s emblem sits in the centre, joining up with the squinty headlights that sweep back over the flared front-wheel arches. Just as the rear, the design in the front also appears to stretch out the C-HR, making it look more full and squattier. 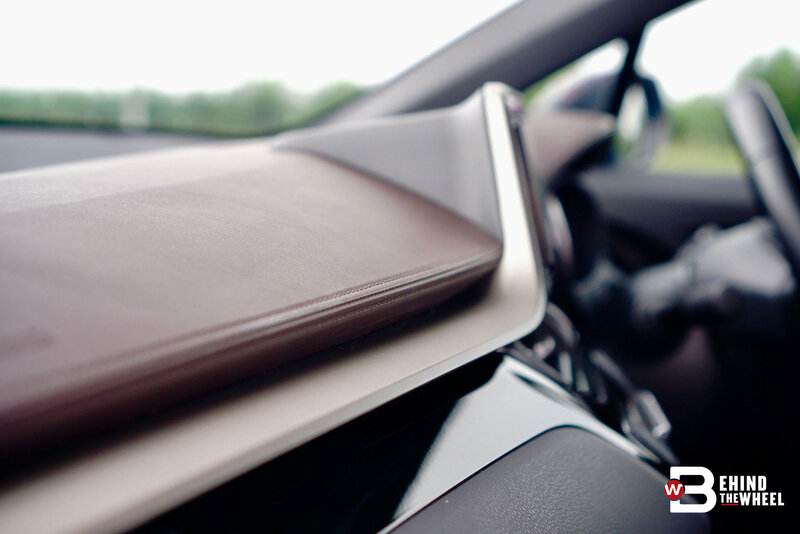 Everything comes together when you take in the C-HR from its sides. It has all the visual cues of a low-slung coupe right down to the appearance of having just two doors when it really has four. 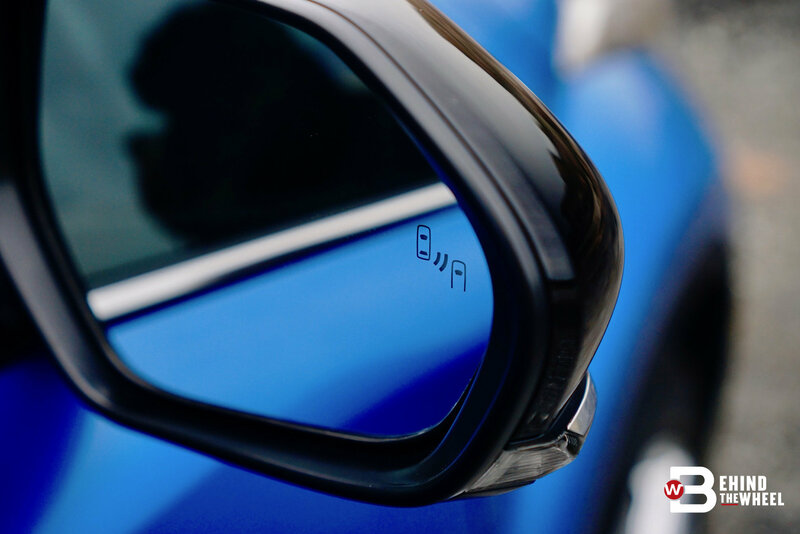 The rising kink on the rear door, where Toyota’s designers hide the door handles, completes the illusion. Although it looks good on the outside, that rising kink takes a slice off the rear window, effectively cutting off the world. Together with the low roofline and you’ll have a rear that makes you feel boxed-in when you close the door. However, any concerns of lacking adequate views of the back are negated with the Blind Spot Monitor and Rear Cross Traffic Alert. It doesn’t get much better in the front. 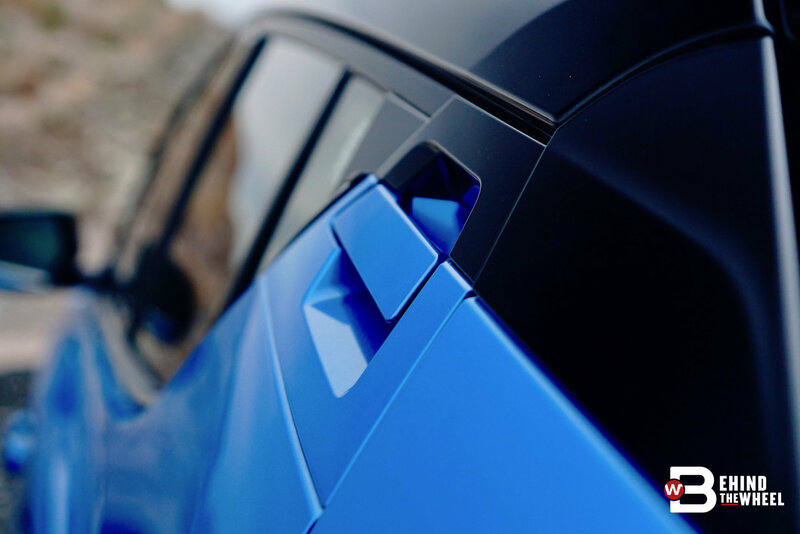 The steep A-pillar drops the roofline close to your head, much like how a sports coupe would. 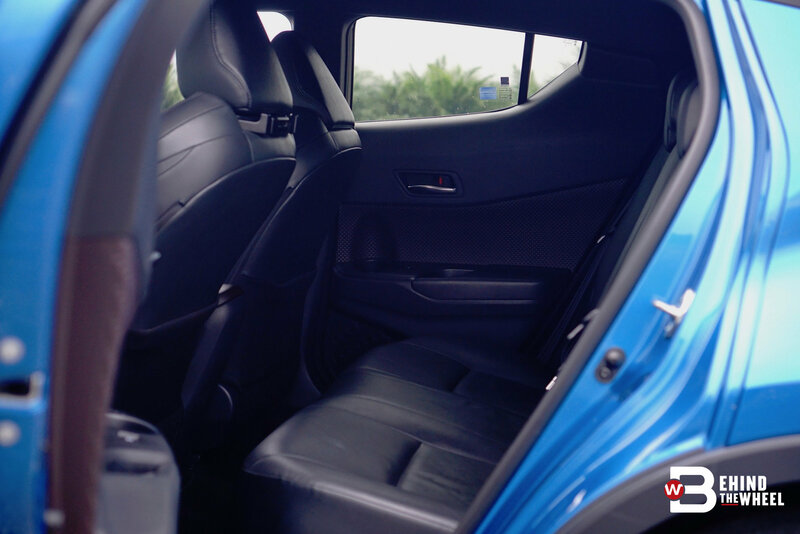 Thankfully, the C-HR retains the easy entry of the SUV, which doesn’t require you to bend low, so head and door frame don’t clash. Get into the hot seat, and you’ll find a very driver-focused cockpit. 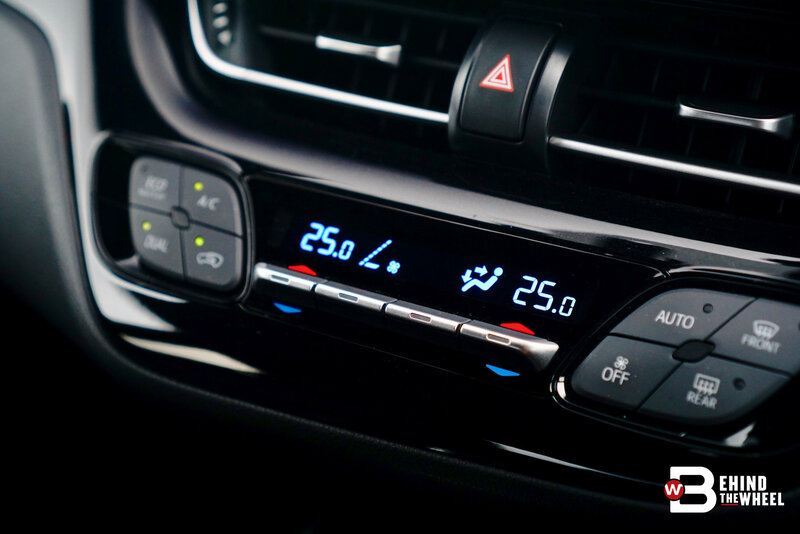 Much of the car’s control knobs and switches, air vents and info-screen are angled to the driver, leaving the front passenger with little else to do except to sit back and relax. 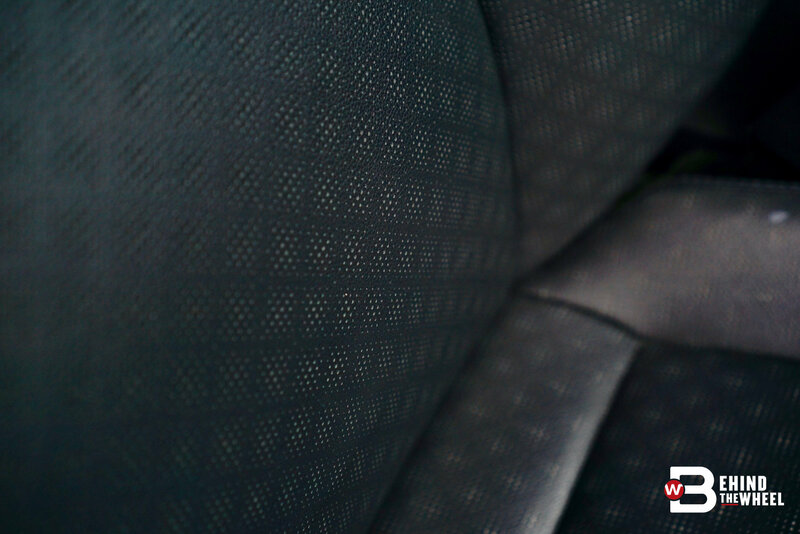 Getting comfortable is easy, the seats are assembled with extra padding for the torso and wrapped in perforated leatherette. 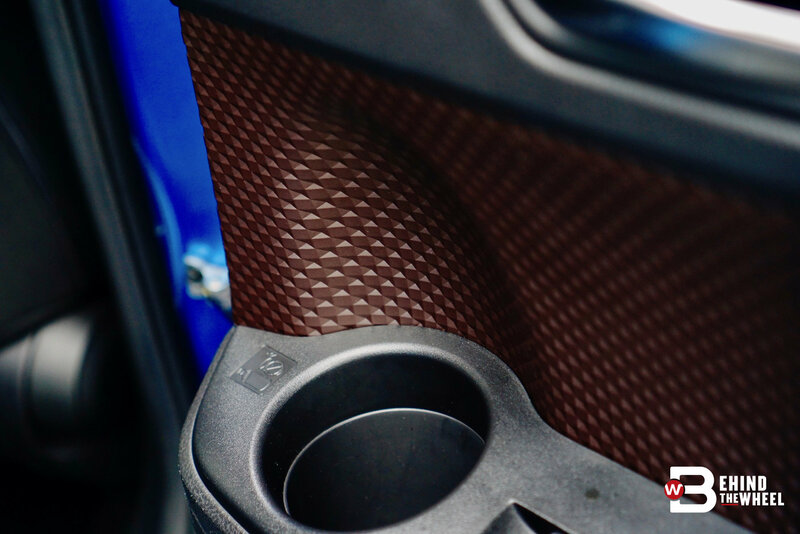 There are also interior design embellishments that continue the dramatic flair of the exterior; immediately noticeable are the diamond-pattern of the perforated leatherette and the door cards. 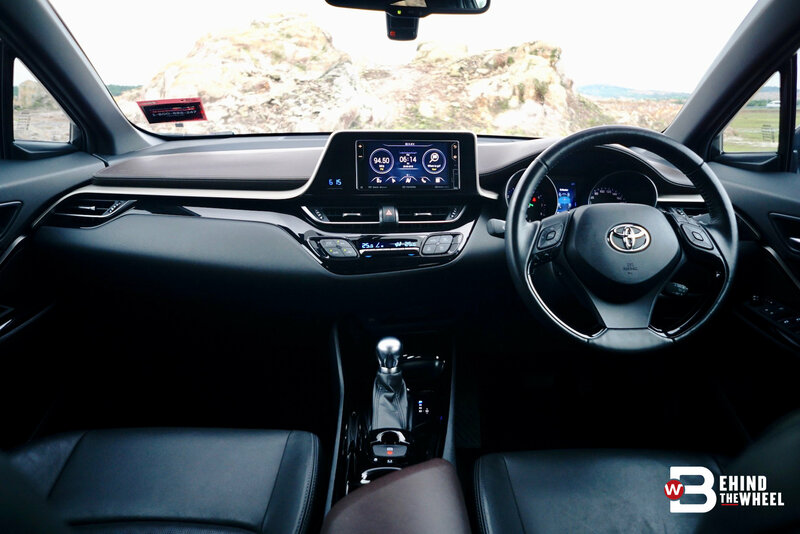 The only peeve I have with the interior is the touchscreen that doesn’t really sit flush with its housing, feeling more like it came from an aftermarket catalogue. Nevertheless, it is fitted as solidly as with the rest of the interior. 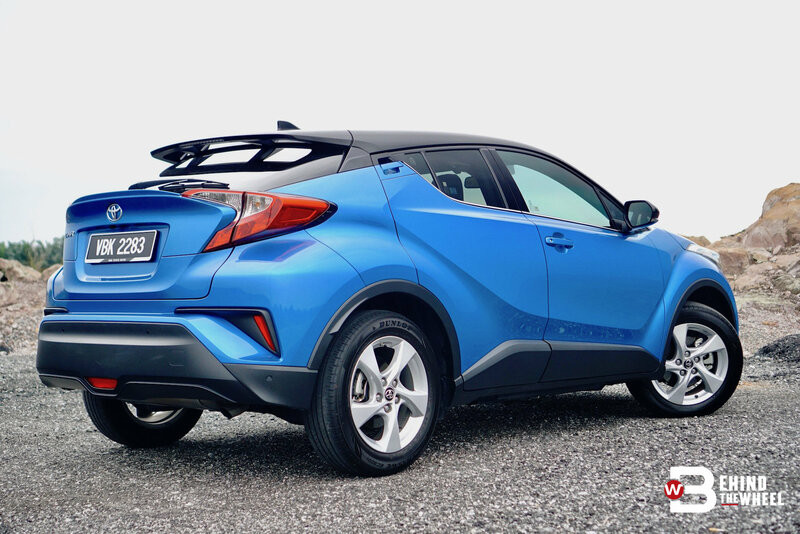 Although a sporty character is what the C-HR projects, the choice of powerplant made it clear that this crossover appeals to seekers of style rather than speed. 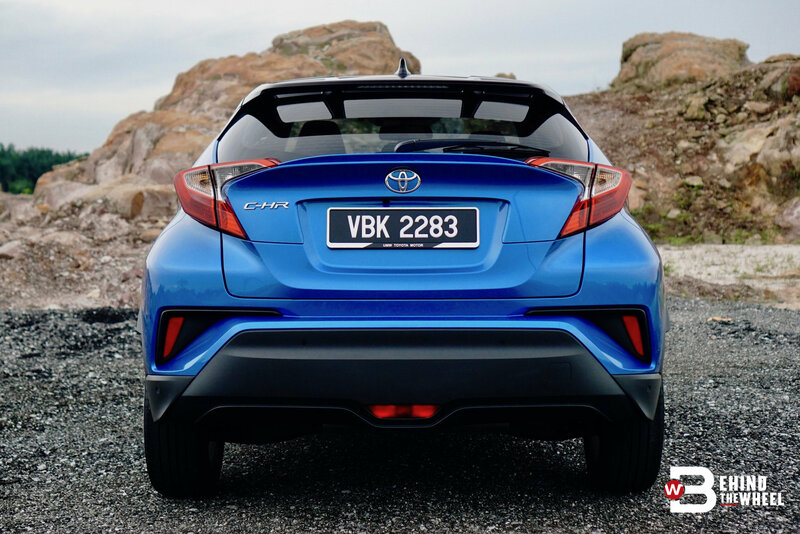 It is not that the C-HR feels underpowered, but there’s only so much you can squeeze out of the 1.8-litre naturally-aspirated engine. 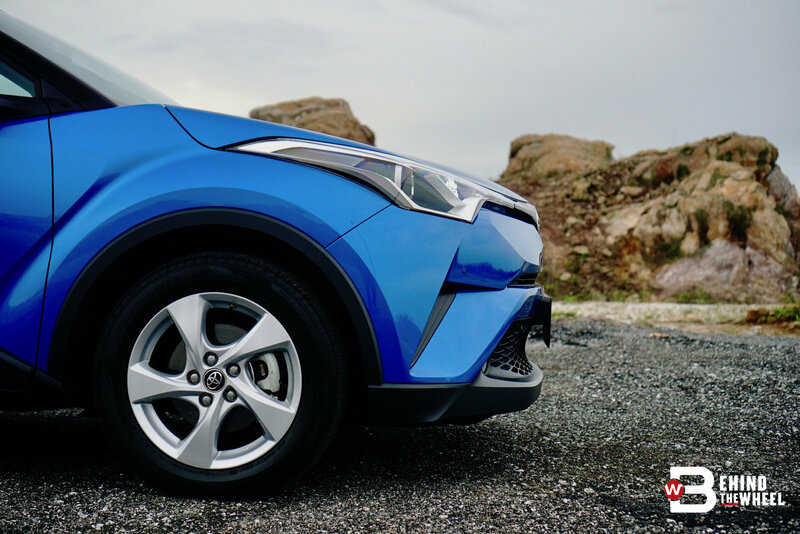 Nevertheless, the C-HR’s 138hp and 171Nm doesn’t feel underpowered, and you won’t get caught out when crossing lanes or merging with traffic. Power delivery to the front wheels is smooth, thanks in part to a ‘7-speed’ CVT, but won’t win you any traffic light drag races. Toyota is withholding the 0-100kph time, but I’d put it in the 9-second circa. 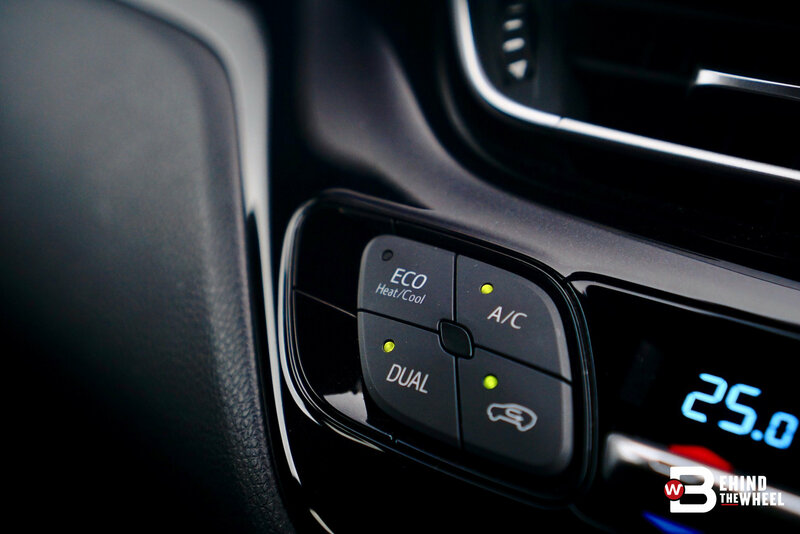 You could change the throttle’s characteristic in three ways – Eco, Normal and Sport, all do exactly as the labels suggest. 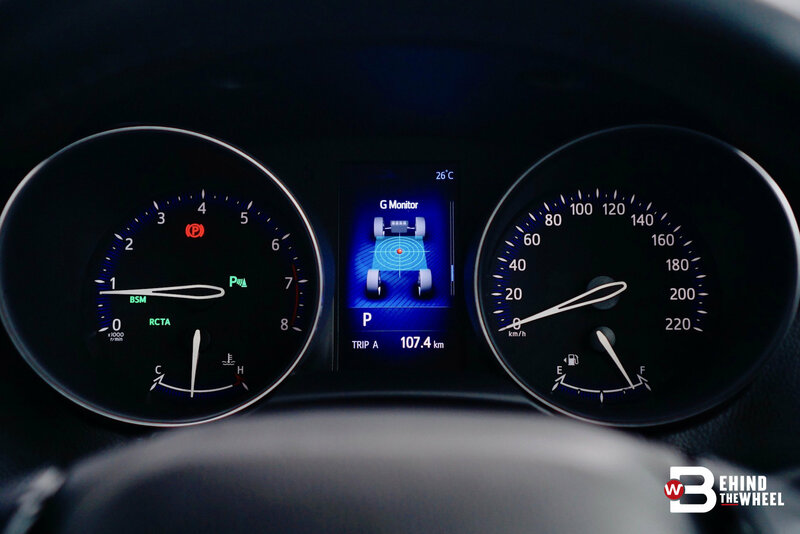 To engage the driving modes is somewhat troublesome because of the lack of a button anywhere! You really need to dive into the car’s computer to access the drive modes. 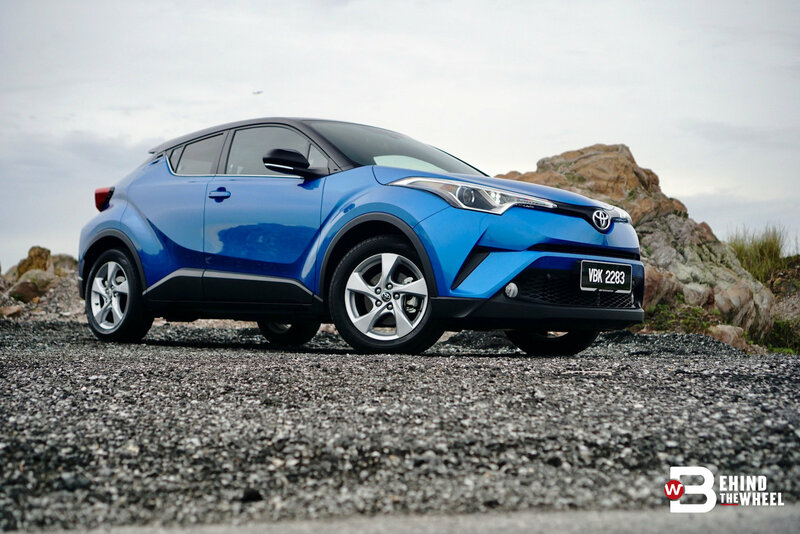 Engine performance aside, the C-HR executes all essential city-driving manoeuvres beautifully. The steering offers a right balance of weight and honest communication from the front wheels. The rear deserves special mention. 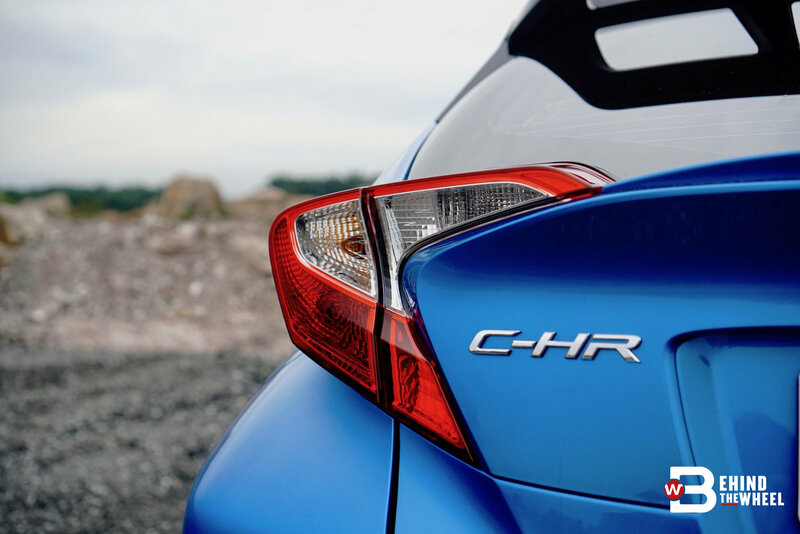 Where other manufacturers make do with a torsion beam, the C-HR’s double-wishbone rears progressively adapt to the constant change in road surfaces and handling situations; rather than crashing and bouncing over dips and humps. 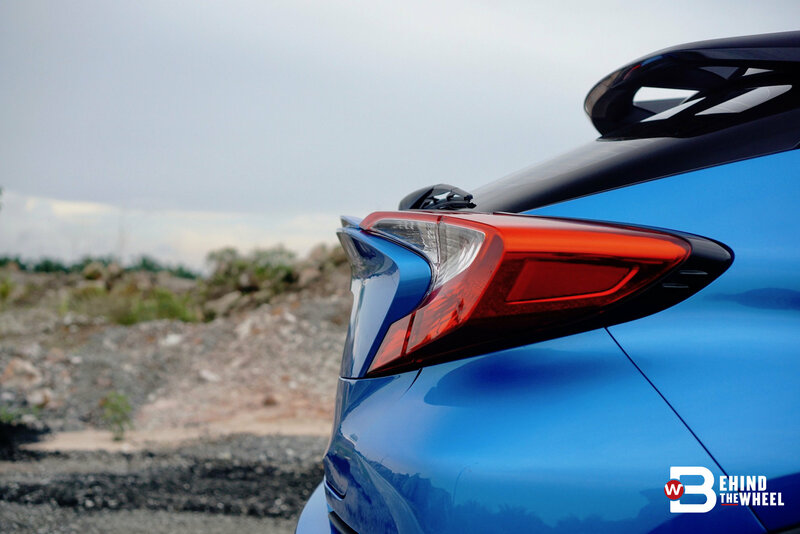 Responsive handling, accurate cornering and loads of grip are just some of the reasons why the C-HR is as brilliant in making quick U-turns in the city as well as chucking it into corners of trunk roads. With a more powerful engine, this compact crossover would have been something extraordinary. 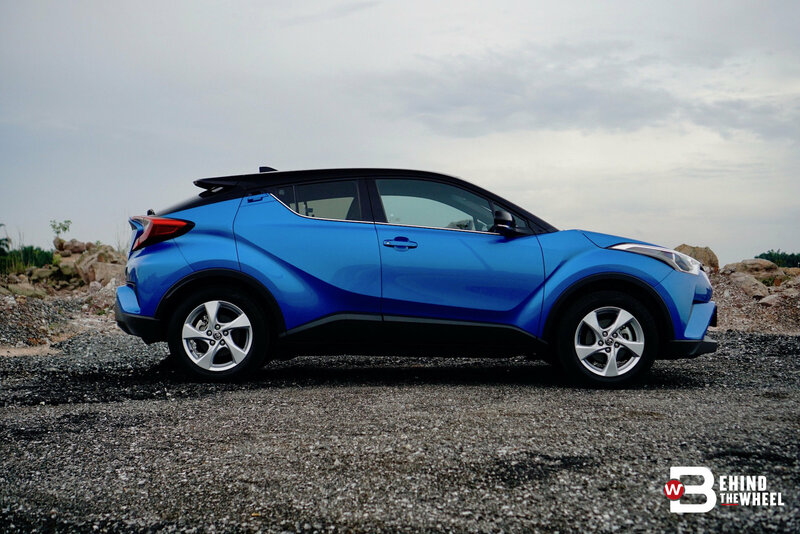 As it is, the Toyota C-HR is a curious machine that is utterly entertaining.